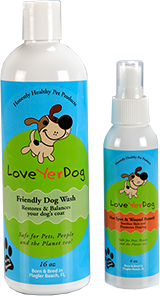 LoveYerDog offers honestly healthy pet products you and your dog are gonna love! We have created pet care products that are safe and good for your animals well being. Our mission is to educate, enhance and support the pet community. Basically we love our dogs, and with our products, we can love yours too! Our Products are now Available at Flagler Integrative Veterinary Center!